Single line comments starts with two dashes - -. It can start anywhere on the line and ends anywhere on the line. The following example describes the single line comment in PL/SQL program. 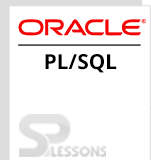 PL/SQL program is successfully executed. The above example describes the PL/SQL standard program for composing single line comments. The multiple line comments starts with /* and ends with */ a symbol and can be applied to multiple lines. One can utilize multiple comments to comment-out different blocks of code. The below example describes multiple line comments in PL/SQL program. 13  which is the ratio between the circumstance and diameter. The above example describes the PL/SQL standard program for composing multiple line comments. PLSQL Comment – A remark is a content that the PL/SQL compiler overlooks. Single line comments – It begins with delimiter in PL/SQL. Multiple line comments – It begins with slash-asterisk and ends with asterisk-slash.